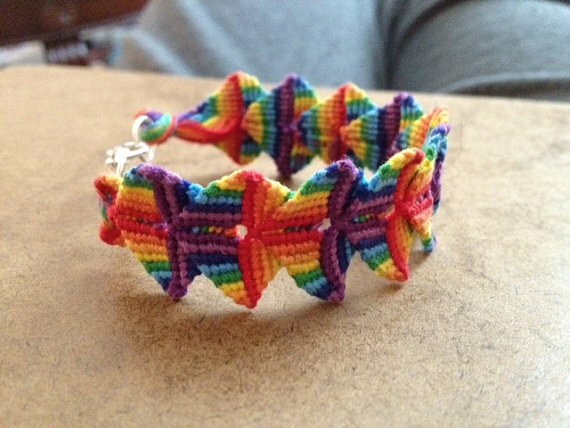 Here's a collection of friendship bracelet patterns for making embroidery floss bracelets. If you're new to following the knotted floss bracelet patterns on this website, you'll need to know a few floss bracelet basics to understand the patterns. You'll get an overview of the knots, tools and materials, starting and finishing, and lots of tips. The easiest pattern of all. I almost didn't want to put in a single star for difficulty. 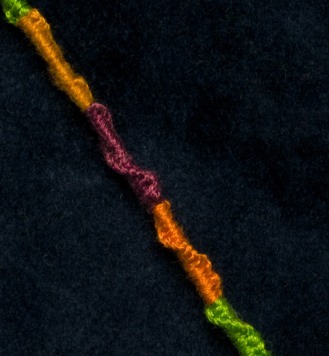 The second easiest pattern of all. Easy -- Very similar to the chevron or arrow pattern. Click here to go to the Wave and Loop pattern page. 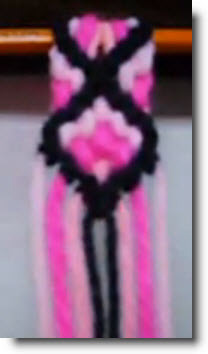 Click here to go to the Criss Cross pattern page. Click here to go to the Advanced Zig Zag pattern page. 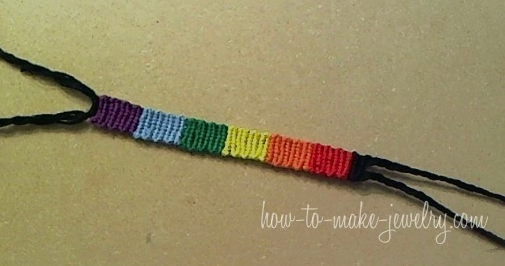 Need some friendship bracelet making tools? We've put together a small collection for you, below.